A survey from the National Highway Traffic Safety Administration (NHTSA) reports that 660,000 people are using cell phones or other electronic devices while driving at any given moment in the daytime, despite the fact that a high percentage of drivers support bans on hand-held cell phone use and texting while driving. The NHTSA released its findings at the beginning of April, which is National Distracted Driving Awareness Month. The statistics come from the 2012 Distracted Driving Attitudes and Behaviors Survey, the 2011 National Occupant Protection Use Survey on Driver Electronics Use, and data from the 2011 Distraction Fatality Analysis Reporting System. Approximately 74 percent of drivers support bans on hand-held cell phone use, and 94 percent support bans on texting while driving. Currently, 39 states and Washington, D.C. have laws prohibiting drivers from texting while driving. Ten states and Washington, D.C. ban drivers from using hand-held cell phones at all while operating a vehicle. Yet in 2011 alone, over 3,300 people were killed and 387,000 were injured in accidents involving a distracted driver. Safety officials now consider distracted driving to be an epidemic. Turn off cell phones and place them out of reach before starting to drive. Don't operate a GPS navigation system while driving. If you need to check directions or enter a new destination, pull over to a safe location. Reduce the amount of time you spend flipping through songs and stations on your radio or iPod. Always wear your seat belt. It greatly increases your chance of surviving a car accident. Be a good role model. Speak up if you're a passenger in a car where the driver uses a cell phone or is distracted. 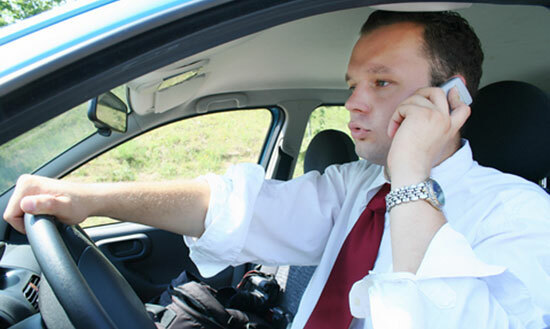 Offer to make a call for the driver or check directions so he or she can focus on the road. Statistics clearly show that millions of people use cell phones while driving, despite knowing that it can cause injuries or kill innocent victims. If you, or someone you love, were seriously hurt in an accident caused by a distracted driver, we can help. You may have a case, and we're here to get you the compensation you deserve for your medical bills, missed paychecks, and pain and suffering. Call 1-866-943-3427, or fill out the form at the top right of this webpage for a no obligation, free legal consultation. Learn your legal options today – before it's too late, and evidence disappears. Source: “NHTSA Survey Finds 660,000 Drivers Using Cell Phones or Manipulating Electronic Devices While Driving At Any Given Daylight Moment.” NHTSA.gov. April 5, 2013.